Shoulder pain can derail everyday activities and quality of life. It can make playing sports impossible and hinder performance in all areas of life. Fortunately, non-invasive shoulder pain treatment is available. Your Vancouver chiropractor Kilian Chiropractic can give you an expert shoulder pain diagnosis so that you can experience efficient, effective shoulder pain relief. A strain is when a tendon or muscle becomes stretched or aggravated. A shoulder sprain refers to the stretching and/or tearing of the ligaments. Treatment includes rest, icing, compression and elevation. Your Vancouver chiropractor can bring you an accurate shoulder pain diagnosis so that the ideal shoulder pain treatment methods can be administered. This occurs when the upper arm bone pops out of its socket located in the shoulder blade. Your Vancouver chiropractor can assist you in getting the joint stabilized and strengthening it to help avoid future incidents. Frozen shoulder is a common shoulder injury that your Vancouver chiropractor sees all too often. It is characterized by shoulder stiffness that gradually worsens over time. A past shoulder injury can make the area more susceptible to a frozen shoulder. The bursae in the shoulder are fluid-filled sacs that reduce friction in the joints. Shoulder bursitis refers to irritation in one or more of these shoulder bursa. It is also characterized by inflammation. The shoulder has four rotator cuff muscles that assist with rotating motions of the arm, such as throwing a ball or swinging a racket. One or more of these muscles can become injured through overuse or an acute traumatic injury, resulting in shoulder pain. Your Vancouver chiropractor can assist you with rotator cuff shoulder pain relief and expedite healing. The most common form of arthritis is osteoarthritis, and it can affect the shoulders as well as all of the joints. The symptoms of this condition are stiffness, swelling, and pain. Arthritis tends to come on gradually and worsen over time if left untreated. Tendinitis refers to inflammation and/or irritation of a tendon. Repetitive use is the most common cause of tendinitis. The result is tenderness, pain, and loss of mobility in the shoulder joint. 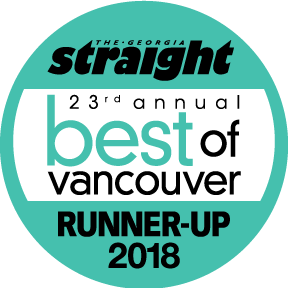 Fortunately, your Vancouver chiropractor Kilian Chiropractic is experienced in shoulder pain diagnosis and bringing you the ideal shoulder pain treatment for your injury. Whether it was caused by a sports injury, auto accident injury or work injury, we have the solution for shoulder pain relief. At Kilian Chiropractic, our goal is to tap into holistic healing to improve quality of life for all our clients. If you are suffering from shoulder pain, contact us today to make an appointment.